It's here! The first ingredient spotlight post! I have had many clients asking about these two ingredients/chemicals. I'll be breaking it down into a (hopefully) easy to digest format. 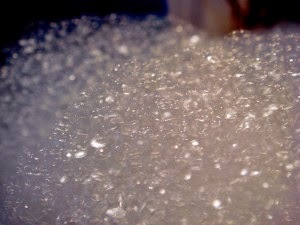 What it does: A foaming agent (surfactant) found most commonly in shampoo, face and body washes. Also found in some toothpastes. Concerns raised: That both SLS and SLES are irritants and possible carcinogens, through a by-product (1, 4 Dioxane), that occurs in some production methods. What I've Found: SLS and SLES are skin irritants. (1) (2) I have not been able to find any study that substantiates the cancer risk in SLES. It has not been listed as carcinogenic by OSHA on their material safety data sheets (3), by the American Cancer Society, or the International Agency for Research in Cancer. Bottom line: I don't use products with SLS or SLES. Being on a constant crusade to lower inflammation in the skin, I see no need to start off with a cleanser that may cause irritation, even if in a formulation made to buffer that (too much inflammation being the source of all evil....don't get me started). We have other options. The cancer risk? From what I've read- I'm not concerned about the risk. With that said- the point is moot since I don't use it in my practice. Want to see something featured in the ingredient spotlight or have questions? Email me jill@jjodar.com or leave a comment! Fair warning: soapbox post! So I was getting my next post ready, when I came across an article from iflscience.com. Although not about skin care products, it struck a chord with me (translation: I got really mad). It underscores the importance my previous post about language and semantics when we are discussing an issue, or passing on information. The heated, (and sometimes hard to stomach) battle going on in the comments section on Facebook, also seems to mirror the combativeness and polarizing that occurs between different product manufacturers, with different philosophies in skincare. I usually love iflscience.com (including their irreverent name), so I was really disappointed. I had to write about it. 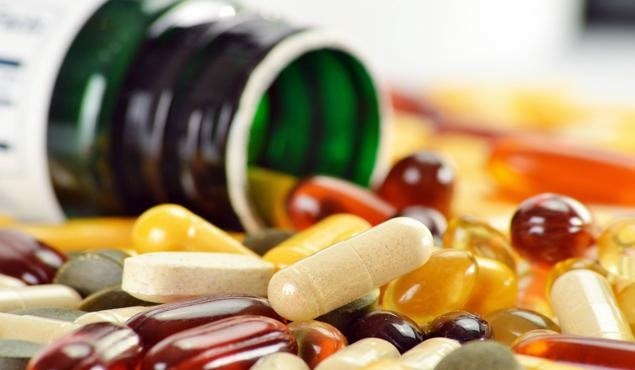 The title reads: "Herbal Supplements Don't Contain What They Claim"
In reality, no, just a misleading title. Four large companies did get busted and received cease and desist letters from the FDA. Read the letters here. But you wouldn't know this unless you read the article in it's entirety. The title makes a very inappropriate blanket statement. And let's be honest, the title is as far as most people get. Disclaimer: I do use herbal supplements religiously. I'm no specialist on herbs, but I see an amazing functional medicine practitioner/acupuncturist who IS an expert, and I trust him implicitly with what I put in my body. I know for a fact he has done exhaustive research and carefully chosen companies that batch-test for purity, and are sticklers for formulation. So to throw all those reputable companies and the people that use them under the bus? Frustrating, unjust, and not factual. Read carefully, thoroughly, and always beyond the title! Have you read something that freaked you out about your products? Let me know, I'm happy to give you my take. You can always email jill@jjodar.com, or leave it in the comments section. Rant is concluded. Now I'll get back to your originally scheduled post- Sulfates in the Ingredient Spotlight up next!